Home > MapleStory 2	> MapleStory 2 – Public Alpha Test! MapleStory 2 – Public Alpha Test! 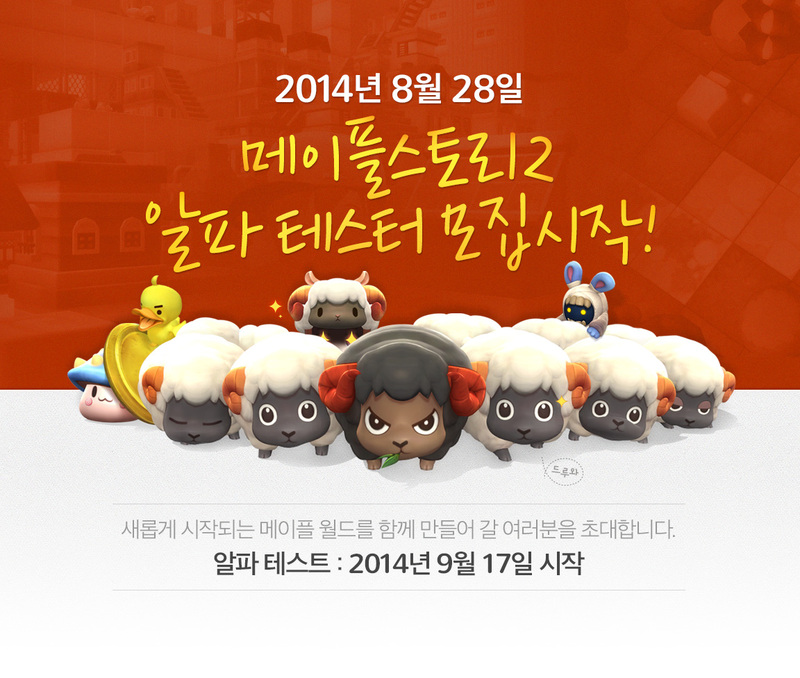 MapleStory 2’s alpha test is beginning! We invite you to create a new beginning in Maple World with us. Hey guys, it’s been a small dry spell since the next real server patch will be on the 28th but there’s some exciting news for MapleStory 2. The public alpha testing will take place starting September 17 until September 21. That’s five days of testing! I’m not sure how they’ll be choosing testers (I’ll definitely try to apply) or if testers will be allowed to share images/videos but it’s going to be exciting for sure! 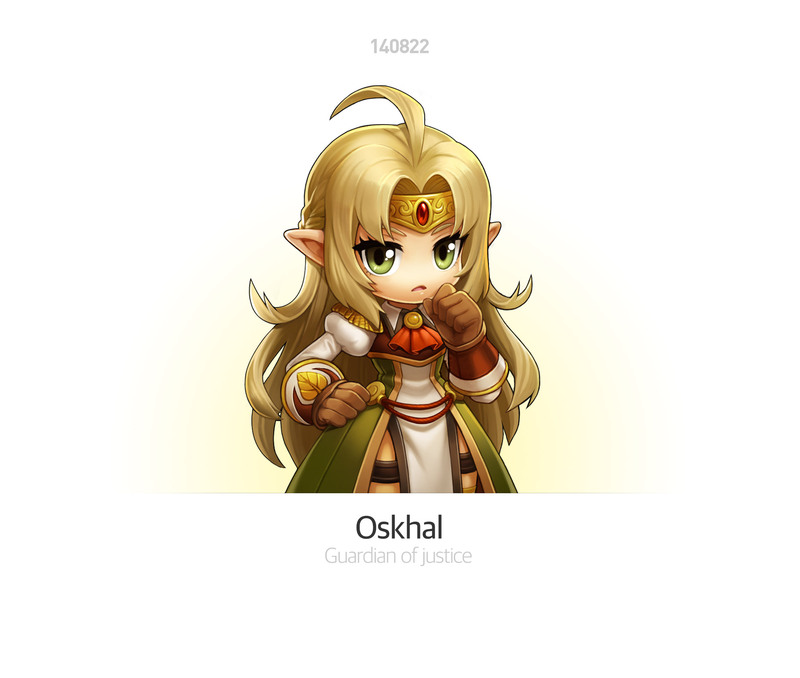 There was also another teaser image, this time with the archer instructor Oskhal, Guardian of Justice. He (she?) is also the leader of the Green Hoods, and the image came with this voice over. Looks like MapleStory 2’s NPCs will have voice acting? Judging by those thighs? Female. when you find out a way to apply to be one of the testers, would you mind sharing? That hourglass pigure its boi. Pretty obviously female, nevermind the voice over which further confirms this. Looking forward to see how it looks in-game compared to it’s concept art. Nexon was never the best at using good concepts, so I expect no less than the final game not even closely resembling the impressive concept design. Pity, there’s always so much potential..
Well we already have various trailers of the games besides the first one. Will the testing be for only kMS? Or gMS too? KMS of course, no one even knows when the global version will be released! well we had testing in gms the first time around, so it is plausible. We do know this though. That it will be world wide released once beta ends, and that KMS is going try to get open beta before Dec. That being said we can estimate that NA might receive it early 2015. That’s if KMS follows schedule and nothing goes wrong in there beta testing or they don’t decide to push it further. This is where the info comes from. That site doesn’t even give a source, just saying “Nexon confirmed it” doesn’t mean its true lol. Well that’s where it’s from, it could be true, maybe, it would be awesome if it is. Max, did the Shining Star content get delayed one more time? If yes, why did you say 28th? tbh, i don’t really care much about MS2 either. its probably something the same as current maple and ppl will get bored over it sooner or later. i just want new classes every few months on current maple and 5th job which probably not coming out any sooner. Can’t tell if joking.. that’s exactly what ruined current maple.. new classes ruin balancing structure and create unstable/glitched content which hackers take advantage of immediately. MS2 should be fixing all of that and reverting back to old maple so no it shouldn’t be the same and hopefully they don’t import those ideals either. Someday son, you will jump aboard to SS Bandwagon. Can someone post a tuto which explain how o create a NX KR account and how to registrer for the Alpha Test please ? kMS ver. 1.2.220 – Shining Star! YouTube Channel & Twitter!